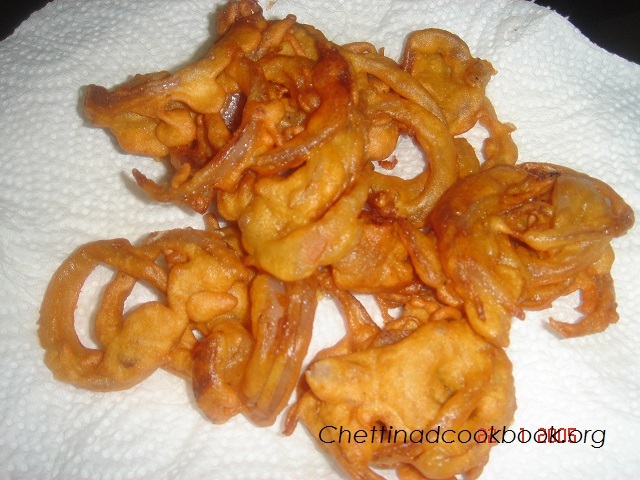 Nandu Kaal Bhajji is a pure vegetarian snack served during chettiar Marriages as evening snack. This Snack is served to the people who attend the function in the Early evening hours and guests as “edai Palaharam”.We have long menu lists for Edai palaharam,as Nandu kaal Bhajji,Aamai Vadai, Aadi Kummayam,mini Dosai,Uthappam,Kara chutney etc… with hot Coffee or Tea. Nandu Kaal Bhajji is named on its shape. It gives the appearance as legs of crab,This Bhajji is made out of Big onion and Gram flour combination kara chutney or Pudhina chatney.One of the delicious snack even our new generation prefer to have this heartily. Peel Onion and cut round shape,separate the rings as shown below. In a wide bowl add Onion and all other Ingredients. 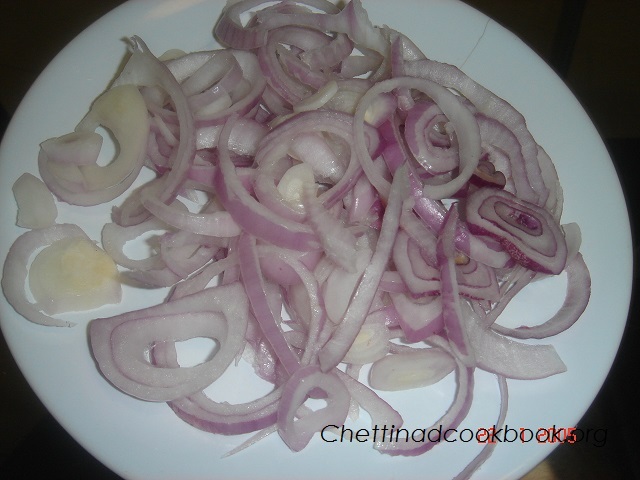 Sprinkle little water and mix well so as to get coated well on Onion. Heat oil in a pan put this scatteringly stir occasionally and fry golden Yellow, drain oil and serve with chutney.